Cheal Ruapehu is proud to support the proposed Te Ara Mangawhero & Horopito-Serpentine Trails development and Trail Advisory Group, involved in the community development of a dual-purpose walking and mountain biking trail in Tongariro National Park. Tongariro National Park is New Zealand’s oldest National Park and a dual World Heritage area. The Advisory Group comprises of local community groups, business representatives, iwi, District Council and the Department of Conservation. In August 2016 the Advisory Group was successful in securing $2 million of Government support for the project. 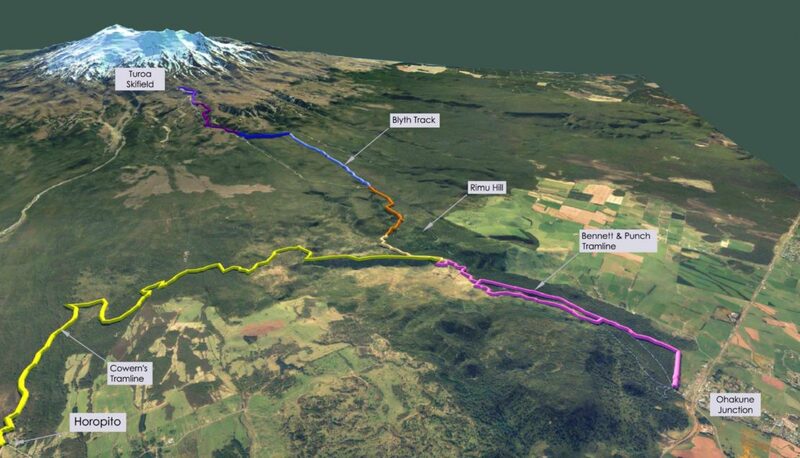 Our Ruapehu Manager Dean Sherrit is helping to contribute to this project through his role as Chair of the Advisory Group, coordinating the track reconnaissance, preparation of concept plans and providing presentations. Over 34,000 walkers and cyclists are expected to use the new trail each year, contributing $5.8 million annually to the local economy, once established. We are looking forward to the end result, keep up the good work Cheal Ruapehu!